Other than the manufacturer itself, a mobile network is one of the more official sources for information on a handset, and Verizon has just provided information on the unannounced HTC U12. 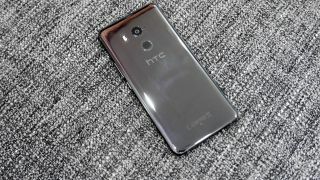 The network has listed the phone on its Open Development website, stating that the HTC U12 has a 3,500mAh battery and a frame-less Super LCD 6 display with a WQHD resolution. That’s the same screen tech and likely the same sort of resolution as the HTC U11 Plus, though the battery sits between the U11 Plus and the standard HTC U11 in size. The listing also notes that the screen unsurprisingly uses Gorilla Glass for protection, and that the phone is IP68 rated, meaning it’s dust-proof and water-resistant to a depth of 1.5 meters for up to 30 minutes. The HTC U12 apparently runs Android 8, as you’d expect, along with HTC Sense Companion, and supports fast charging and Bluetooth 5.0. It also lists Cat. 12 LTE support, which, as Phone Arena notes, is an older standard which doesn’t allow for as high data speeds as we’d expect, so this detail might be wrong. There’s also an image in the listing, which is almost certainly wrong, as it’s heavy on bezel and looks like it might be the HTC U11, so this is probably a placeholder image. It does put some doubt on the rest of the information but coming from a carrier we’d think most of this is likely to be accurate, and the fact that the HTC U12 is listed at all suggests it’s probably launching soon, which adds up with recent rumors that we’ll see the phone in May.